I like to imagine Laurence dragging himself to work every day, forced to look at that carpet. Where do offices/doctors/movie theatres go to get their horrible carpets. Horrible carpet outlet malls. Don’t forget casinos! And, by extension, airports which have casinos in them! 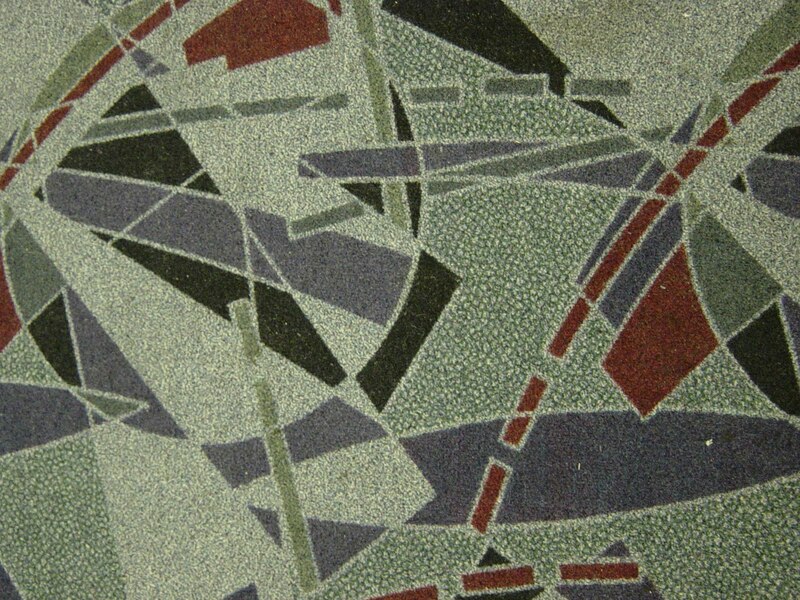 Wish I could mental-ICQ you the airport carpet pattern from when I was a kid. Hoo! Yes! YES! It’s just like the carpets in Edinburgh Airport from when I was small. God, I can smell them. I’m sure consent of the patrons is held in the highest esteem. Does this mean in this alternate universe predominately Jewish corporate takeover law firms never flourished in the 70s and 80s causing widespread acceptance of Jewish people by the old money? That would mean the corporate world never broke out of the new deal reforms and thus staid docile throughout the latter 20th century. Unless theres some other explanation. I think you’re reading too much into that comment and also you overestimate how much WASPs accept Jewish people into their little rich people clubs. But no none of that. I watched you work on this and I still cant believe just how amazing your art is. 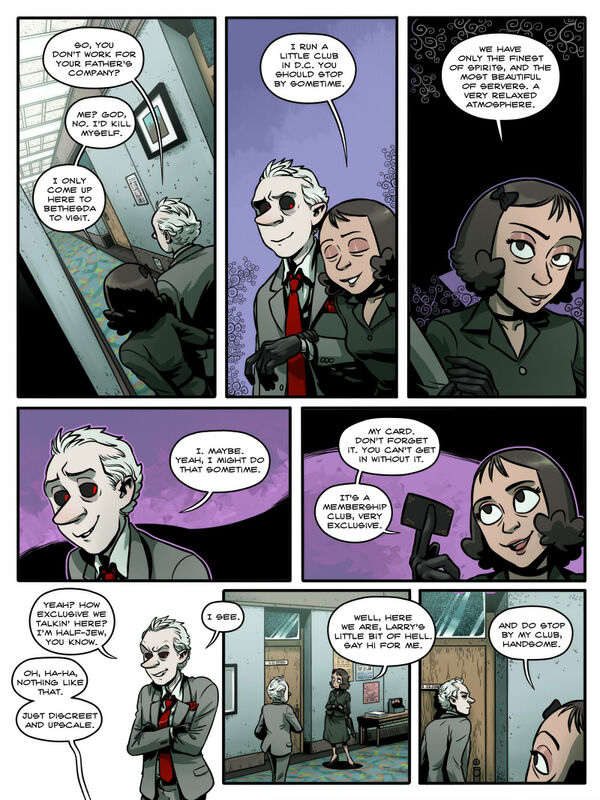 I love seeing the lime and orange for the carpet comment really pop in the posted comic. I was shocked you took the ball and ran with it, and Im so happy that it worked so well. Ugh, my silly office wallpaper looks like Minecraft sand blocks. Actually that makes it slightly better. I cant picture this. Sounds kind of awful. All the default textures in that game are so bad. Doc, if you know what’s good for you you’ll throw away that card. Actually, scratch that. Burn it instead. And if you don’t know what’s good for you I pray that Laurence does. Love the expression in panel 4. You may have had this asked in the past, but I’ve been trying to figure out what Schtein’s voice sound like in my head. Those ugly designs actually serve a functional purpose. The intricate patterns help hide dirt and stains (blood and vomit, among other things…) so people don’t realise how disgusting those places really are. Places that get a lot of human traffic are like sponges for filth and disease. Buses use them too.